Chewy, gluten and dairy free bites of raw, high fibre goodness coated in fine 70% dark chocolate. An indulgent but healthy little treat. The 70g re-sealable pots (containing up to 7 bites each) are available to buy in quantities of 4, 8 or 10 pots. Our hand-made bites are suitable for vegans. 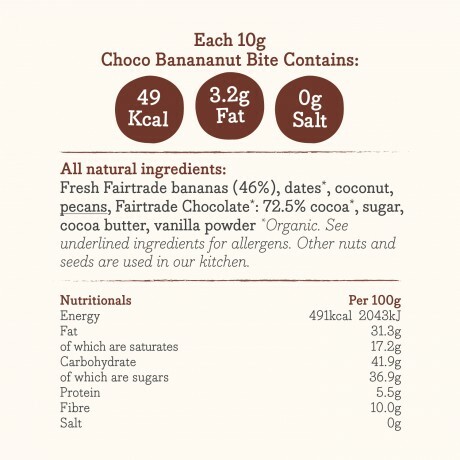 They contain 100% natural ingredients and are high in fibre. 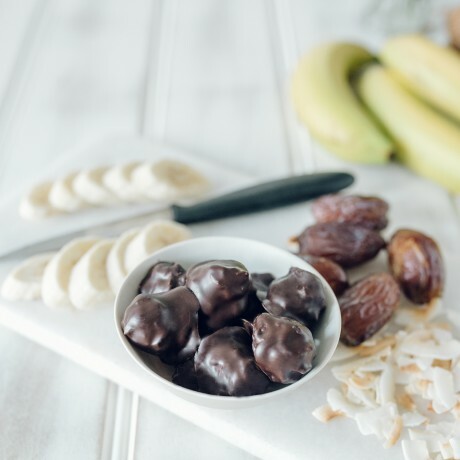 These Choco Banananut bites won a Gold Star at the Great Taste Awards 2014. 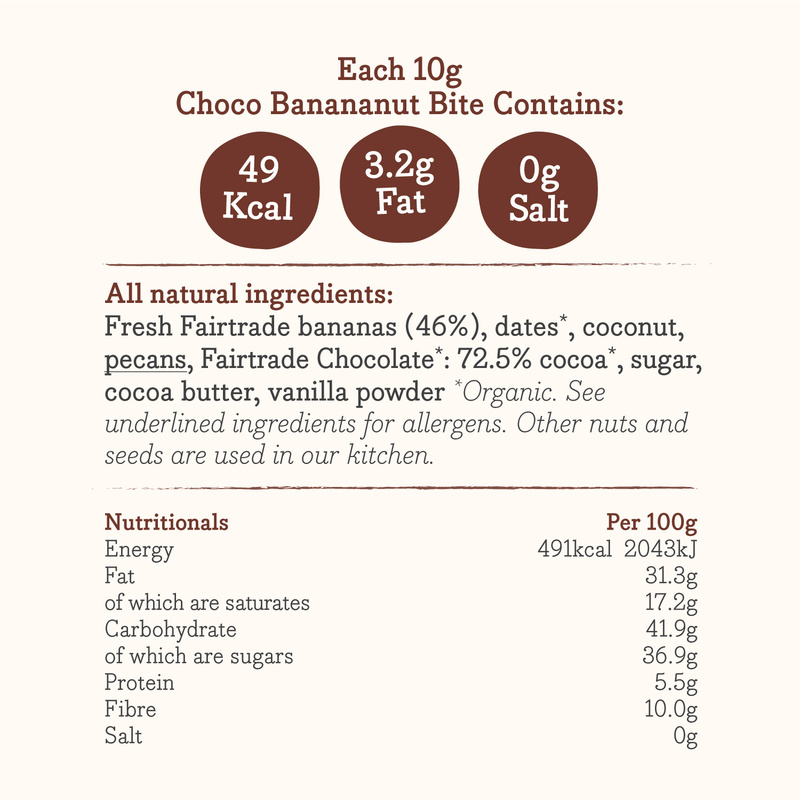 Fresh Fairtrade bananas, organic dates, organic coconut, pecans. Chocolate: 70% organic cocoa, sugar, soya lecithin (emulsifier), vanilla flavouring. This product is dispatched by Moral Fibre Food. This item has a shipping weight of between 320g and 800g depending on the options selected.